Who is ready for trail season? Spring is a funny time in NW Montana. With the coldest start to March in recent memory, temperatures can swing wildly during a month that struggles to find its identity. The Kalispell airport set a daily record low temperature on March 4th of -20F, and next week, the forecast is calling for a high of 55 degrees! Brilliant sunny skies are interrupted by snowstorms and blizzards. Graupel falls indecisively from the ski, roads turn to a slushy mess, and the days are noticeably longer. For the die-hard skiers, winter will drop a few more powder days on the hill while the valley will slowly start to melt out. 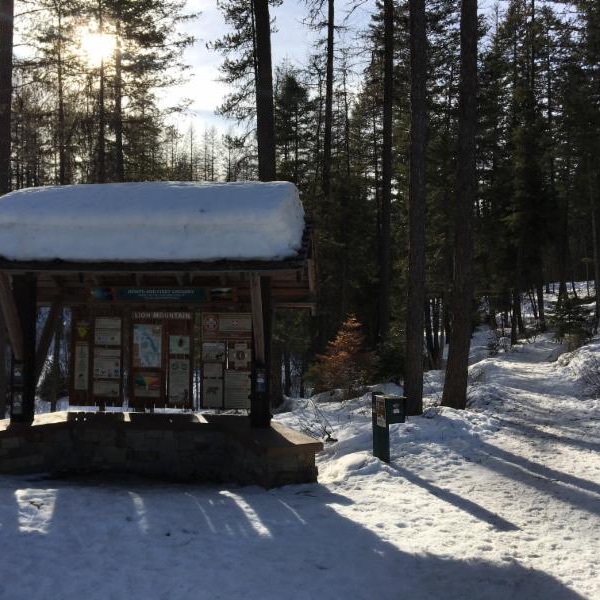 The Whitefish Trail has started its slow thaw for spring. 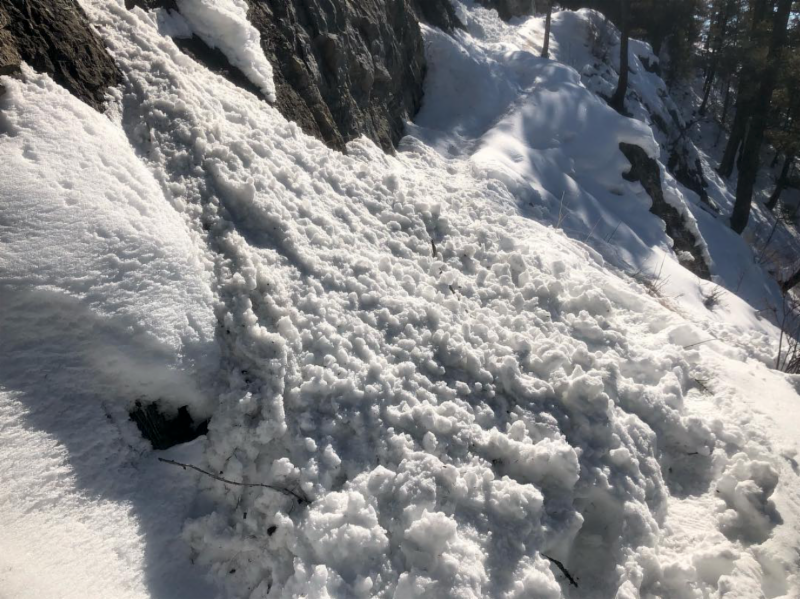 Last weekend, the cliff band at Lion Mountain was buried by snow sloughing from west-facing rocks. The rest of the trail remains 100% covered with packed snow and ice. For the next few weeks, expect frozen, hard conditions in the morning and a softer surface in the afternoons. Eventually, sections of tread that have been hibernating since December will start to reveal our world-class trail once again. 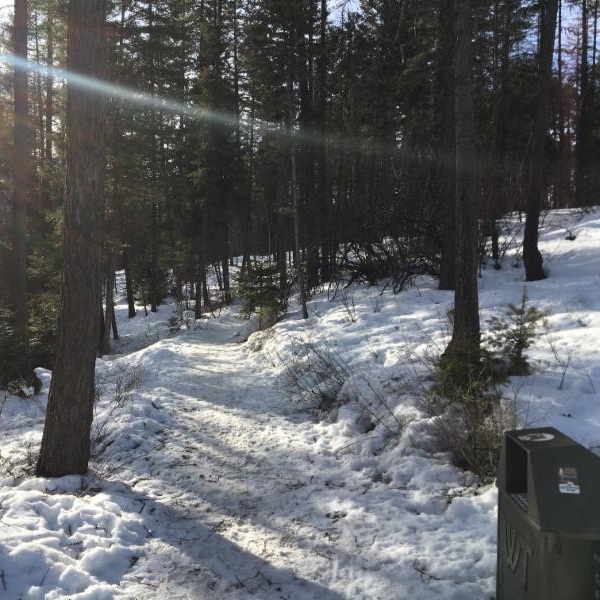 We are lucky that the Whitefish Trail is the first to melt out in spring, but please be patient and mindful when muddy conditions exist. 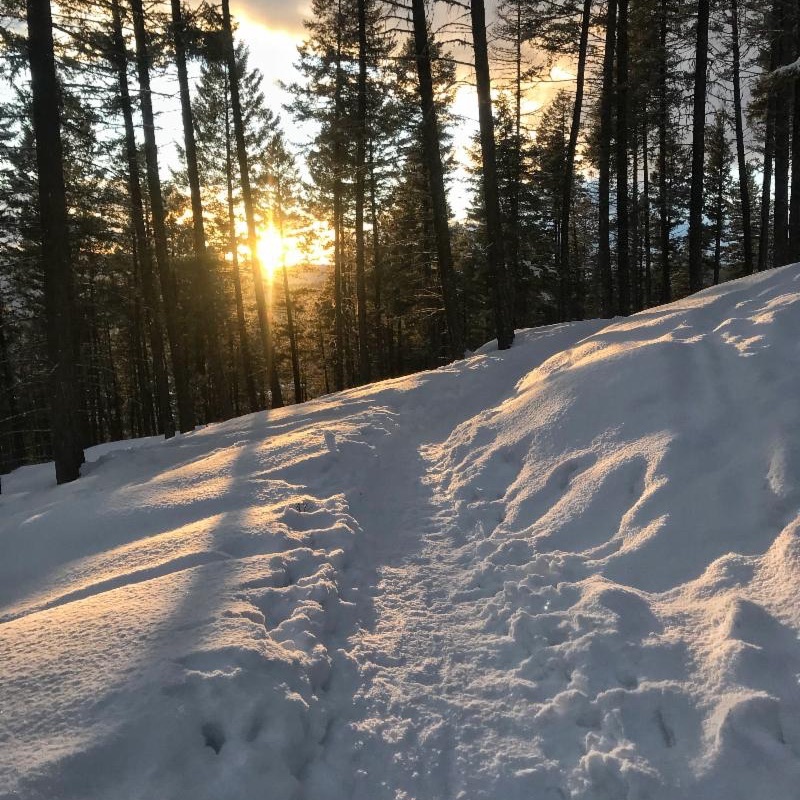 We hope everyone has enjoyed a fun winter on our local lands and are looking forward to another spring in Whitefish!